ADORABLE DOGS PAIRED WITH THE HILARIOUS, HEARTWARMING REASONS THEY LOVE THEIR WEIRD-LOOKING, FUR-LESS HUMAN COMPANIONS Have you ever considered what our precious pooches would say to us if they could speak? 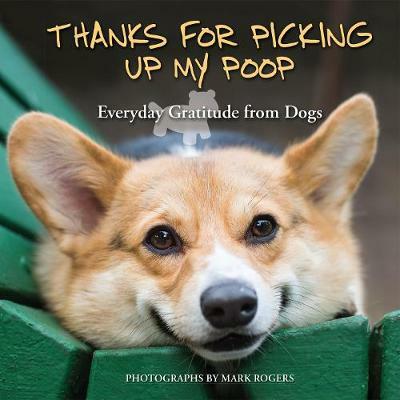 In Thanks for Picking Up My Poop, our cute and cuddly canine companions impart their humorous and heartfelt motivations for staying so dedicated to their fur-less human companions. Packed with engaging photos and clever snippets of doggy wisdom, this book helps us mere humans better appreciate those moments of happiness we share with others every day.